In the pugilistic art form of the boxing world the title of heavyweight champion has always reigned supreme. Even the term heavyweight bears a deeper unknown subconscious meaning to the sport. Those brave warriors who seek after the glory of one day having their hands raised inside the square circle and being crowned heavyweight champion bear the “heavy weighted” burden of boxing’s life force. Heavyweights have always carried the sport from its lowest of lows to its highest of highs. From the roaring 20’s and 1930’s when “The Manassa Mauler” Jack Dempsey and “The Brown Bomber” Joe Louis would become cultural icons for their aggressive fighting styles and sensational boxing power to the golden age of boxing of the 1960’s and 70’s where names like Joe Frazier, George Foreman, Muhammad Ali, and many others were spoken in every household across America and throughout the boxing world. In the 1990’s “Iron Mike” Tyson and Evander Holyfield, as well as, Lennox Lewis and Riddick Bowe continued to carry the torch and brought fights inside the homes of boxing fans to forever to be watched, scrutinized, awed, and watched again for years and years to come. These men and many others imprinted their legacy on the sport and cemented the idea that the man who holds the heavyweight title holds the keys to the heart of boxing and its masses. Then something happened. Boxing fell into a seemingly dark age. An age where Wladimir Klitschko and his brother Vitali would reign supreme and seemingly freeze the heavyweight division of boxing for over a decade. Nothing against Wladimir Klitschko. The man himself is an all-time great and a future hall of famer, who achieved the highest distinctions any one man before him named could achieve, yet something was missing. The glory that was once the heavyweight division started to fade and boxing’s life blood was being diverted elsewhere as were many of it fans. 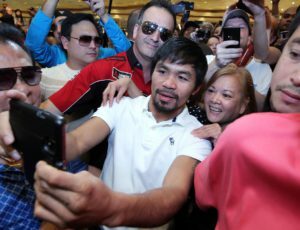 The lighter divisions started to stamp their own mark on the sport of boxing with fighters like Arturo Gatti, Micky Ward, Shane Mosley, Oscar De La Hoya, Miguel Cotto, Floyd Mayweather Jr., and Manny Pacquiao now being where most eyes of the fans were being diverted. Why? What happened to the heavyweight division and the days where fans would flock to their televisions or to the arenas to witness these warriors that once held the hearts of the fans? Boxing Dark Ages was not the fault of one man. It was not brought about by Wladimir Klitschko. By no fault of his own Wladimir Klitschko ruled in a time where the heavyweight division was bogged down by mediocre competition and the honest lack of quality opposition, talent and durability. Or could it have been an even deeper unsaid theory that threw the heavyweight division in a state of limbo? Could it have been the lack of an American or English Heavyweight contender for fans to get behind? Either way all one has to do is to look at the heavyweight division as of today and see that those two questions are moot. The heavyweight division is teeming with young talent with the likes of Adam Kownacki, Dominic Breazeale, Jarrell “Big Baby” Miller, Daniel Dubois, Jermaine Franklin, and Darmani Rock. We just recently in the past 30 days got to witness four undefeated heavyweights in title bout eliminators, one of which took place at Principality Stadium in Cardiff Wales in front of 80,000 fans and viewed across the worlds by millions. The other in New York City, the mecca city of boxing, where two undefeated champions went toe-to-toe for ten grueling rounds. Americans now have their first true American heavyweight champion to get behind in decades and our friends across the pound over in the U.K. have theirs. Those of you reading this article have seen and have beared witness to the two men that now seek to release the heavyweight division from the shackles of the dark ages. Deontay Wilder and Anthony Joshua are becoming the new household names of the heavyweight division. They are battling the ghosts of the past to become the new legends of the future. It is an exciting time for the heavyweight division. One of these men wants to have his hand raised in that square circle with the same meaning the title held previously and you can best believe the competition behind will be gunning for the same. A division that has been asleep has now been stirred from its slumber and once again the warriors of the heavyweight division are on a mission to become the life force of the boxing world and take back the most important and prestigious division in boxing. To many casual observers and fans, Saturday night’s superfight between Saul “Canelo” Alvarez and Gennady “GGG” Golovkin represents a thoroughly even match up. Two fighters in their prime with fantastic records, both champions, ready to throw down and entertain all at the T-Mobile Arena in Las Vegas, NV. The largest gap between the two fighters, however, exists not in the ring, but outside of it. Simply put, Canelo has a fan base that can be monetized in a way not many other fan bases can. 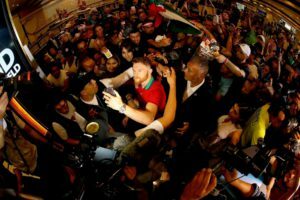 As a Mexican fighting in America, Canelo has the support of both his home country of Mexico, a neighbor to the U.S., and all the Mexican-Americans living in the U.S., as rabid fans who turn out for Canelo fights. Furtermore, Canelo is a “Golden Boy” both literally and figuratively, the baby-faced assassin being both the pride, joy, and hope of Mexico, and an Oscar De La Hoya-promoted boxer. 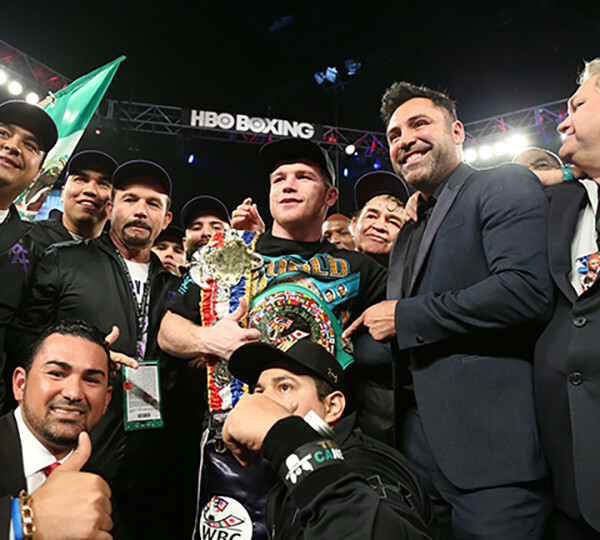 A lot rides on Canelo’s success in the sport of boxing. While a loss to the highly ranked GGG wouldn’t ruin his career by any means, what the big players in the boxing industry want more than anything is a resounding victory for Canelo. Just shy of 30 years old, Canelo has many more years of top ranked fights ahead of him, and lucrative ones at that. Golovkin, on the other hand, is 35 years old, and might only have a couple years of top-level fights left in him. GGG just can’t match the same level of numbers with his fan base. A native of Kazikhstan, a small country with even fewer immigrants in the U.S., Golovkin is at a disadvantage on the marketing side of boxing. While most American boxing fans appreciate a good knockout artist, they don’t have the same kind of attachment that Mexicans and Mexican-Americans do for their native son Canelo. What this means is that unlike the Mayweather-McGregor fight, which had a roughly even split of fan support both in the arena and at the bars and restaurants showing the PPV, the Canelo-GGG scrap figures to have the fan support massively in favor of Canelo. Indeed, the bars and restaurants will be filled with Mexican pride and support, and the T-Mobile Arena will be lit up with Mexican flags and apparel. You may see the odd Kazakhstani flag here or there, but for the most part, the sheer numbers and loyalty that the Canelo fan base produces will drown out anything the GGG fan base can muster. What does this all mean? Now that Floyd “Money” Mayweather is out of the sport completely, Boxing needs a new money fighter. Canelo is much more ready to be the hero the sport needs, to drive the big money fights going forward into 2018 and 2019. Because of this, HBO and the powers that be will be massively rooting for Canelo, the younger, more popular fighter, to win emphatically. And although a rematch with GGG would be potentially lucrative, Canelo disappointed in his last big fight and still has a lot to gain with a victory over Golovkin. On Saturday Night, Canelo will not only be carrying the pressure and expectations of his home country, but also his adopted one. Here’s hoping he can live up to the hype and propel boxing to new heights and popularity. A Bright Future for Boxing? Since the news broke last week from Mike Coppinger that Top Rank has a new output deal with ESPN, A lot of discussion has been had on various mediums. Undoubtedly Top Rank fighters such as Lomachencko, Crawford and Valdez gaining exposure on a network with a potential audience much larger than HBO can’t be a bad thing. Fans outside of the US are not truly affected by what network shows the cards. Although the budget constraints at HBO were impacting fans worldwide because of their effect on the promoters output aligned to the network. The main concern is the fighters not with Mr Haymon getting regular fights, required career development and exposure instead of the lack of activity and forced ppvs to minimalistic audiences forced upon the American consumer by the aforementioned budget cuts. If the ESPN foray is successful in regularly attracting the casual American sports fan it can only mean an increase in advertising revenue thus a larger budget for fighter’s purses and hopefully a shift away from the ppv model. On the last note of a movement away from the ppv model, there have been some suggestions on boxing groups that Haymon’s power moves with the PBC has basically forced Top Ranks hand. It’s hard to be completely dismissive of this argument but let’s look at the way Al forced their hand. After being in receipt of the Waddell and Reed war chest he distorted the market by overpaying fighters to fight over matched opponents. Everyone wants fighters to be well paid and nobody wants to see today’s stars end up destitute like Joe Louis. However, it creates a situation where fighters want unreasonable compensation for taking the fights the fans want to see it’s not helping the sport. HBO in an attempt to keep pace with this distortion was forced to pay out more for their marquee stars and opponents for them and this undoubtedly had an effect on what HBO boxing has put out over the last couple of years.None of this helps the fans because as strong as Haymon’s stable is the talent outside that stable needs a platform to perform on. Al’s neglect on building fighters in their home market, failure to build on momentum for fighters coming off major victories, his inability to get his top guys facing off regularly and lack of cohesive strategy across time buys on various networks are some of the problems the PBC has had since its inception. People’s perception of Haymon’s intelligence has led some to subscribe to a Ponzi scheme theory whilst others have called it a failed monopoly attempt. The latter given some credence by the fact that Al’s time buys across numerous networks deprived existing platforms to other promoters and his market distortion left existing output platforms’ budget in disarray. Al putting on exciting fights for a license fee of Showtime now the investors’ money has dried up isn’t a success of its initial aim. Unless that aim was a Ponzi scheme. As happy as people who follow the sport are to see those good match-ups, surely these match-ups were ideal for audience growth within the time buys rather than the limited viewership of Showtime. Given many observers were critical of the PBC from the beginning because of the points made in the previous paragraph it is only fair to hold the TR/ESPN deal to the same critical standards. At the end of the day, we as fans want to see the best match ups without network/promoter politics hindering that. Any true boxing fan must respect the talent within the PBC, the fact that they didn’t fight against each other regularly was its major failing. If Top Ranks venture doesn’t entertain us it deserves to catch the same amount of flack the PBC got for its failings. When we look at the first PBC card it was Thurman Guerrero, Broner Molina. Top Ranks first card is Pacquaio Horn. Either promoter’s main events feature clear A and B sides. For all the positive noises people where making about Thurman Guerrero, let’s remember Guerrero got the Floyd fight by beating Berto and heavily campaigning for the fight through press releases. Apart from Berto, Robert has no good victories at 147 prior to and after the Thurman fight. No one has been excited by the prospect of a Pacquaio Horn fight but let’s face it Horn serves exactly the same purpose as Guerrero did on PBC’sopening card from a matchmaker’s perspective.Pacquaio has been a PR nightmare recently but his name still carries more weight to casual sports fans than Thurman or Broner’s did on PBC opening night so hopefully that means decent ratings from the start. 60,000 loud Aussies in a stadium will likely make for a better viewing experience than a sterile atmosphere of a half-papered Vegas Casino. Events with lively crowds are likely to keep the casual more engaged than those without. It is still far from something to get excited about. The fact that Pacquaio potentially will be back on ppv for more challenging encounters isn’t fantastic, we can only hope that the deal means that guys like Loma and Bud are developed on ESPN and kept there. Lomachecko’s development as a pro has advanced greatly since his loss in his 2nd pro bout to Saldido. So, whilst no one can doubt Siri’s skills or his will to win, the chalk suggests a clear win for the Ukrainian. It is respectable that Crawford is likely to be unified 140lb champion before potentially dipping his toe in welterweight waters but if we are holding these cards to the same standard that some did PBC cards, Crawford will likely have him worked out by Round 3 at the latest. These two are so talented most fans wish to see them in something remotely resembling a 60/40, 50/50 fight. You can’t blame Bud and Loma for being head and shoulders above others in their weight class. The hope is these two and Valdez exposure on the new platform can lead to cross promotional battles the sport badly needs. There has been rumors that Bob has said something to the affect that there are too many slots for his stable alone so hopefully we can get some of these division unifying match-ups in the future that we have been denied by promotional/network beefs. A resurrection of a FNF platform to give some shine to the smaller promoter’s various contenders and prospects is badly needed as well. Fighters like Tim Bradley have come from promoters like Thomson boxing whom have been denied dates on something like FNF because of Haymons cross platform time buys. Thomson and many other promoters who aren’t as big as GBP, TR or Al deserve that FNF platformback at their disposal. The health of the sport would be greatly boosted by the return of such a platform. So, in conclusion as unenthralled as the fans may be about the initial cards slated to appear on the platform, At least whatever is going on at HBO isn’t affecting the good fighters on Top Ranks Roster anymore. Hopefully the ventures strategy will be the start of something better than the platform they have left with cross promotional unification bouts on the near horizon. Plus, a move away from the ppv model for Top Ranks upcoming` stars who aren’t established as ppv stars prior to the deal. However, for the amount of slander PBC has received for its problems, Top Rank needs to held to the same critical standards by Al’s detractors and given a fair shake by those that said Al was going to save the sport. 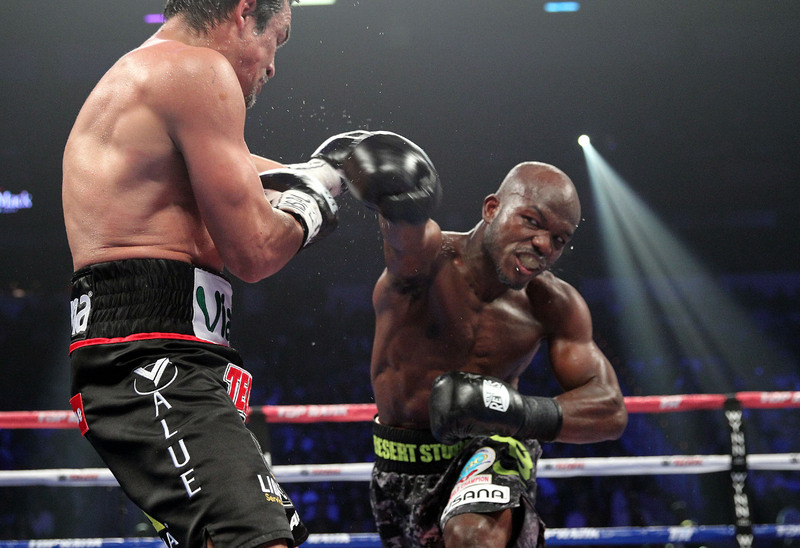 So, once again Tim Bradley has lost to Manny Pacquiao. Bradley himself has essentially admitted as much, so there probably isn’t too much point arguing about. Yup, Manny is that good, folks. Still. People have good reason to wonder if the man’s really going to retire or not. 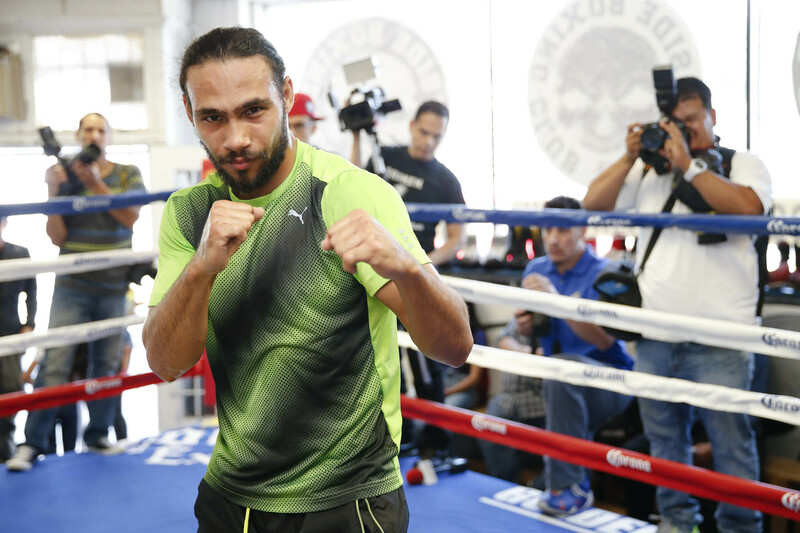 Truth is, he’d probably beat every other welterweight out there at the moment – and that includes Kell Brook, Keith Thurman, Danny Garcia, Shawn Porter or any other name you may have in mind. Again, he’s that good. In fact, the aging process seems to be remarkably slow as far as the guy is concerned. What of Bradley, though? What of the man who most feel has lost three straight to his most notable opponent? Well, if there’s any justice the guy should be in line for induction into the Hall of Fame after he hangs up the gloves for good. His resume has been impressive, after all. Indeed, the only man who has ever been able to beat him is Pacquiao, one of the greatest to ever lace up a pair. The conversation doesn’t end there, though. Here’s the truth – Bradley looked magnificent Saturday night, even in spite of the fact that he lost. Those paying attention could clearly see the man won his share of rounds. He just couldn’t overcome those two knockdowns he suffered at Pacquiao’s fists. The reality, however, is that Bradley was disciplined and game for the vast percentage of the evening. Here was a man who gave Manny a challenge rather than a glorified sparing session. Who else can the same be said of in recent years? Mayweather, of course, and Marquez to be sure. But then who? No one. Looking at matters objectively, Bradley arguably did better against Pacquiao on Saturday than Miguel Cotto and Antonio Margarito did against the PacMan. And he most certainly did better than Ricky Hatton, Joshua Clottey and the (admittedly over the hill) Oscar De La Hoya. Telling stuff. Where to from here for Bradley, though? That’s where things get cloudy. Let’s face it, the guy has taken some serious head trauma over the years…much of it needless. 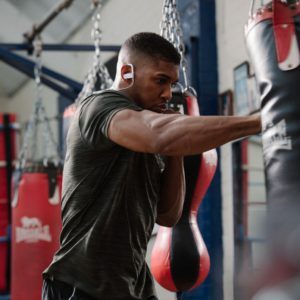 Add that to the stress of megafights (they must be incredibly stressful affairs) and the general wear and tear that being a true athlete – as opposed to say, a contemporary cherry picking fighter – brings and retirement may not seem like such a bad idea for this family man. Then again, there’s that talent and skill to consider. If his brain and body haven’t suffered serious irreparable damage and he continues to fight in a disciplined manner under the tutelage of new trainer Teddy Atlas, there may be a bright future ahead for Bradley. Believe it. For while Pacquiao is indeed the greatest welterweight in the world, I’ve no doubt Bradley is the second greatest. And if Manny is truly retired, then that leaves Bradley at the top of the heap. Ask yourself this, could any of today’s top welters besides Manny have beaten the Bradley of last weekend? Aside from Kell Brook the answer is no – and frankly, I suspect Bradley would beat the Englishman, too. Pacquiao isn’t a top level fighter, he’s a legitimately great fighter and legitimately great fighters come few and far between. Bradley’s faced him three times now and held his own. Sorry, but that’s a lot more telling that dominant wins over far less skilled foes. Compare Bradley’s opponents to those of Brook, Porter, Garcia and Thurman. There’s simply no way the resumes of those men hold up against the California native’s. And let’s not forget that Bradley, unlike most of the others mentioned, makes sure to keep challenging himself with serious opposition. In other words, he has to be at his best each and every time out. Can the same be said of Garcia? Indeed, politics may be the only thing that keep Bradley from sweeping the entire lineup of young bucks out there at the moment. Bradley just has to ask himself if it’s all worth it at this point. He’s done pretty well for himself as it is, after all.